• The Zoodiacs are a new team of Beast-Warriors that redefine Xyz Summoning! Any of the 4 Xyz Monsters in this theme, like Zoodiac Broadbull and Zoodiac Boarbow, can be Summoned using any 1 other monster from the theme - even if it's not an Xyz Monster! This is a great theme for creative Duelists who like to invent new strategies for Summoning the biggest, toughest monsters possible! • Shinobaroness Peacock and other Shinobirds conjure gale force winds to blast your opponent's cards back to the hand or Deck! These powerful Spirits are Ritual Monsters that work well with cards from Dragons of Legend -Unleashed- and Shining Victories. • Blustery Spellcasters that make Synchro Summoning a breeze! Windwitches like Windwitch - Glass Bell can add a little Synchro-magic to any Deck, or you can play them as their own Deck and add a dash of Fusion Summoning to the brew. With two guaranteed Super Rare cards in each Special Edition box, plus the 27 cards from the 3 booster packs, Duelists can power up their Decks for less than it would cost to buy 3 individual booster packs! 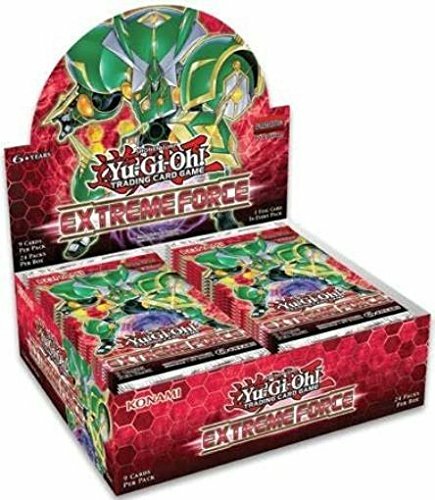 The Extreme Force Special Edition is jam-packed with value! 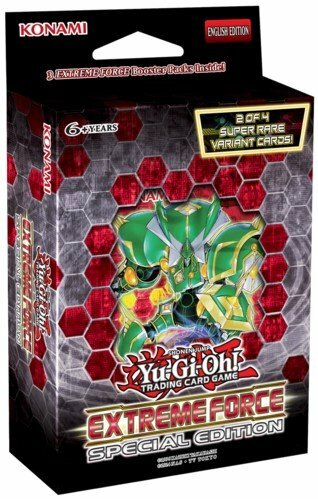 Not only does it include 3 booster packs of Extreme Force, each box is guaranteed 1 of 2 Super Rare variant cards, as well as 1 of 2 Super Rare preview cards of non-foil cards from the upcoming 2018 booster set! 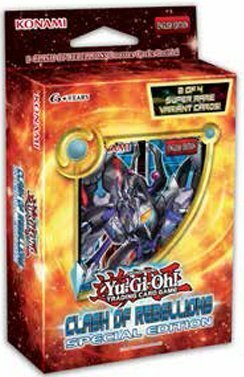 Special Editions give Duelists a great value, combining 3 packs of the latest Yu-Gi-Oh! TRADING CARD GAME booster release with 1 of 2 hard-to-find variant cards. 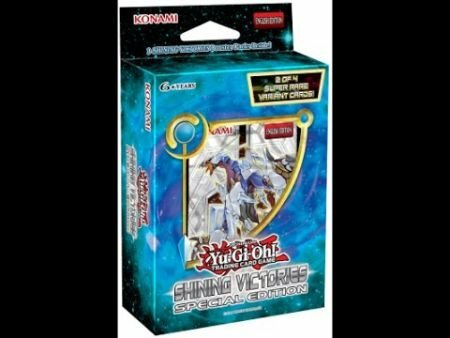 In addition to 3 packs of Cosmo Blazer, each Special Edition box will contain a special championship-level foil card sure to make a lucky Duelists day. 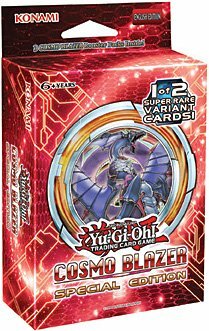 Great value and excellent content will make the Cosmo Blazer Special Edition a must-have for players of all skill levels.Duelists will also want to pick up this second offering of Cosmo Blazer because of this booster set's great synergy with prior and upcoming releases! 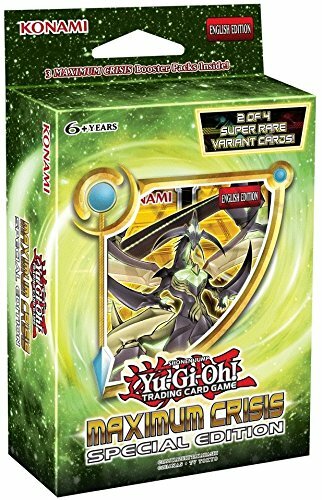 With two guaranteed variant foil cards in each Special Edition mini-box, plus the 27 cards from the 3 booster packs, Maximum Crisis Special Edition is a great way to power up your current Deck, or build a whole new Deck, for less than it would cost to buy 3 individual booster packs! 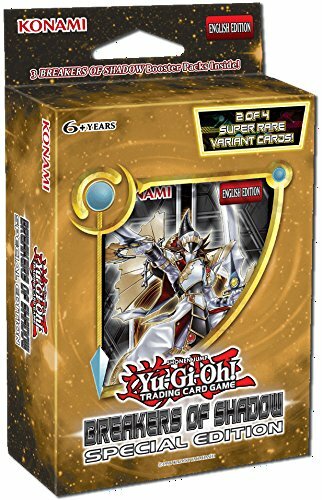 Super Editions are a great value for all Duelists! 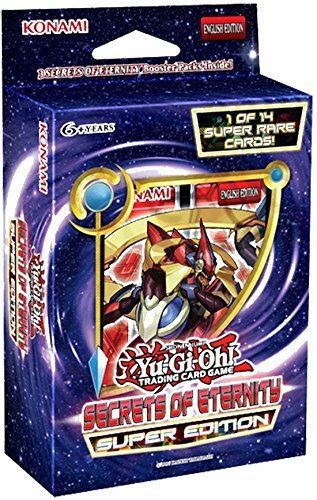 Each box of the Secrets of Eternity Super Edition comes with 3 booster packs of Secrets of Eternity, plus 1 of 14 Super Rare cards to power up your Deck!Build up your Deck with more cards for new tournament favorites like Burning Abyss, Shaddolls, and Stellarknights, or uncover the secrets of the pit to reveal the mighty Infernoids, a brand new Deck theme that carries out wicked effects to banish your opponents cards. 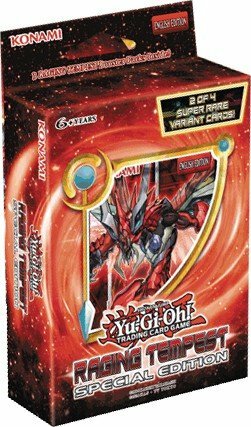 The Super Edition gives Duelists another opportunity to grab another Super Rare card from Secrets of Eternity, like Skilled Blue Magician and Thunderclap Skywolf, the Synchro Monster Superheavy Samurai Warlord Susanowo, Trap card Void Launch and Spell card Good & Evil in the Burning Abyss.With one guaranteed Super Rare card in each Super Edition box, plus the 27 cards from the 3 booster packs, Duelists can power up their Decks for less than it would cost to buy 3 individual booster packs!Each Secrets of Eternity Super Edition contains: 3 Secrets of Eternity Booster Packs, and 1 of 14 Super Rare cards. 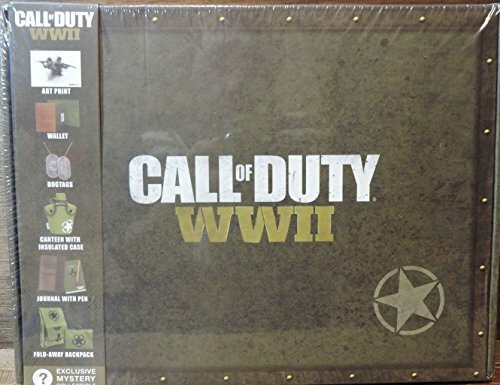 Copyright © Wholesalion.com 2019 - The Best Prices On Special Edition Box Online.